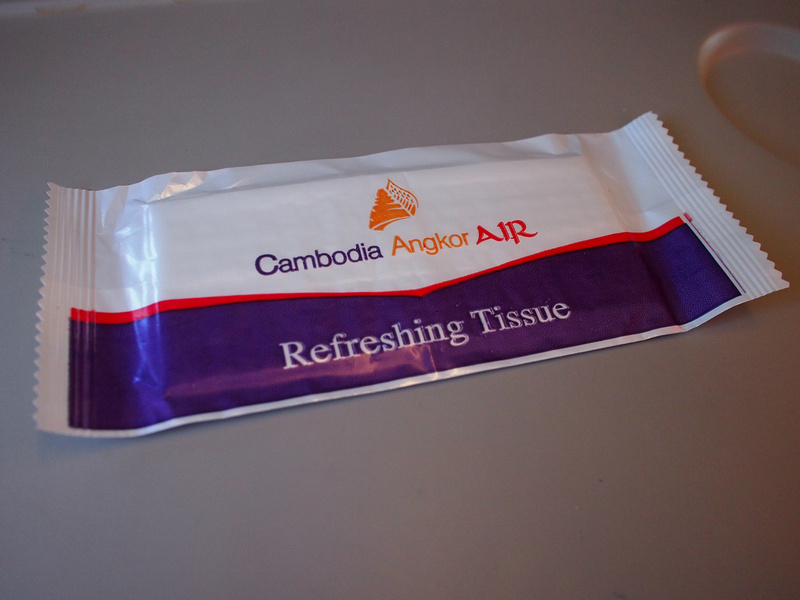 I flew with Cambodia Angkor Air from Bangkok, Thailand to Phnom Penh, Cambodia. This was a last minute flight and originally I was going to get the bus, but the thought of the Thailand-Cambodia land-border crossing put me off. Even booking a few days in advance I found a flight for under $100USD. 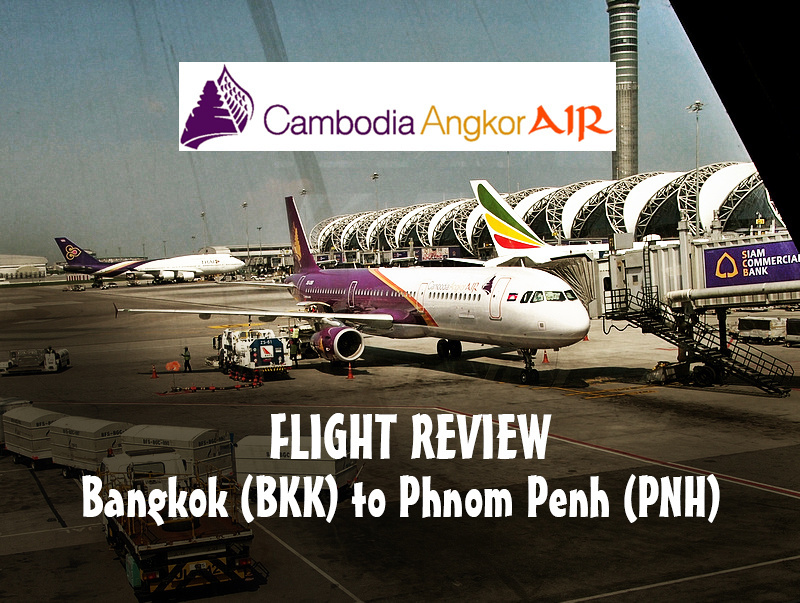 I booked with Cambodia Angkor Air because I had never flown with them before, and because they fly from BKK. AirAsia also fly from Bangkok to Phnom Penh but they fly from Don Mueang (DMK). The fares were about the same so I picked flying from BKK. 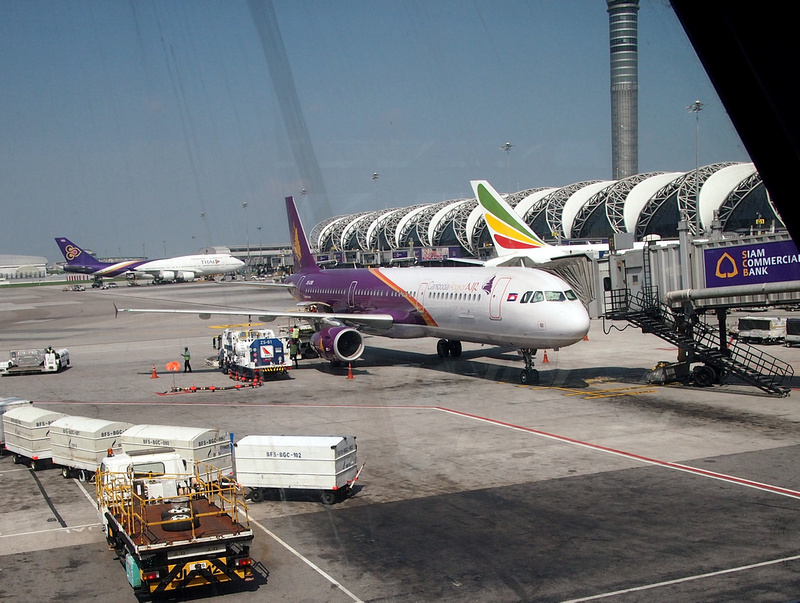 Cambodia Angkor Air is the national flag carrier of Cambodia, and is part owned by Vietnam Airlines. It is not in any airline allowance so there is no opportunity for frequent flyer points. Cambodia Angkor Air doesn’t show up on all of the flight booking sites which is why I like to check the Wikipedia page for my destination airport to see if there are any obscure airline that isn’t showing up in the search results. The aircraft for this flight was an A321-200. They only fly regionally at this point so there is no inflight entertainment. 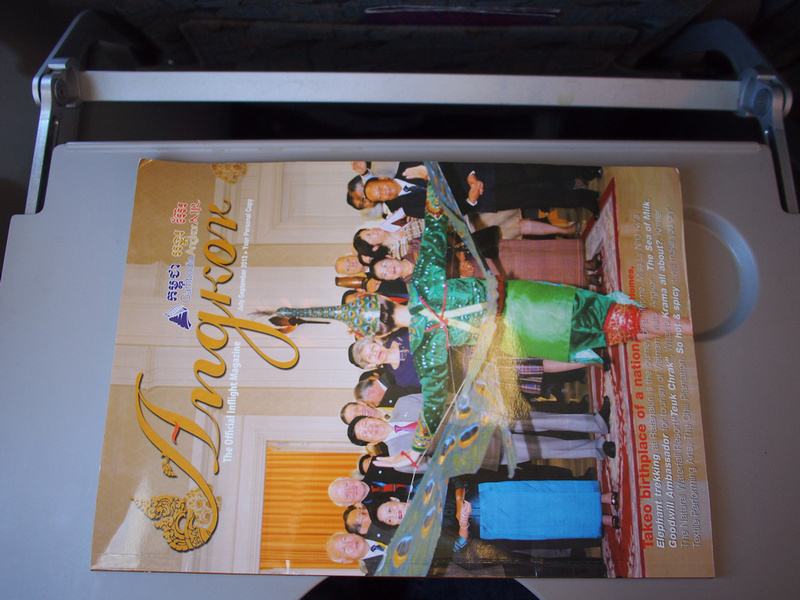 Here is the inflight magazine, in Khmer and English. The flight time from Bangkok to Phnom Penh is just over an hour, yet they still serve a hot meal as part of the flight service. 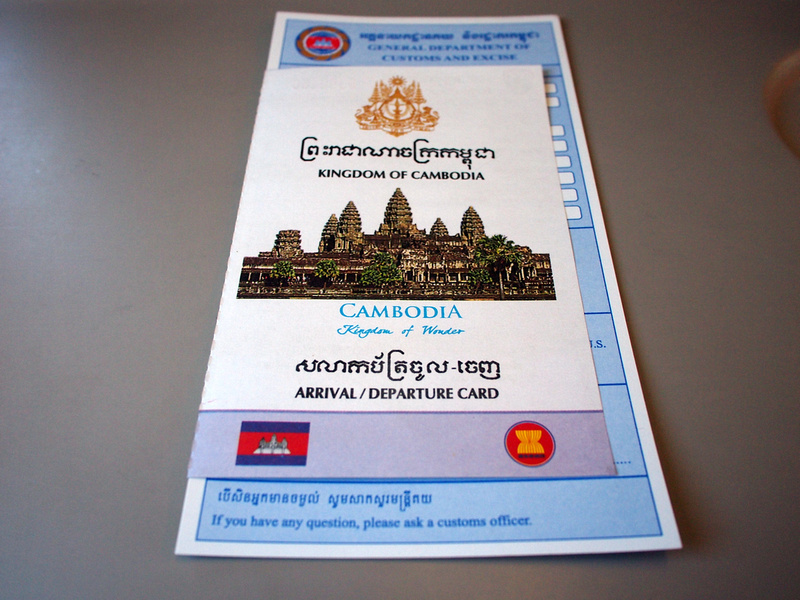 Customs and arrival cards are also provided.